The Department of Veterans Affairs’ handling of veteran health care has come under intense scrutiny in recent years. From red tape to long wait times, veterans and their loved ones have expressed concerns with the VA’s medical treatment options. However, until recently there wasn’t a single place where veterans could find honest reviews about medical treatment options from other veterans. VA Review is hoping to change that. Founded by Neil Barrett, VA Review allows veterans and their families to post honest reviews and make more informed health care choices. After being active for only six months, VA Review has already amassed more than 1,000 users–with the vast majority of user growth happening organically. 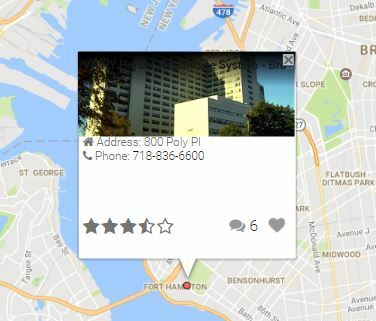 The free Web app features a map of the United States, and veterans and their families can zero in on the location they are interested in, see available veteran health care sites, and read reviews. In an interview with MeriTalk, Barrett shared why he founded the portal and his goals for veteran health care. With a background in Web development, Barrett was well-suited to address a problem felt across the military community–quality of care. “I travel quite a bit so it’s not uncommon to find myself in new unfamiliar VAs throughout the country. One thing that I’ve noticed is that the quality of care at each hospital can vary greatly. This caused me to seek out locations I know will provide great care, while avoiding those that don’t,” Barrett explained. VA Review was born out of a need for a centralized location for health care reviews–as well as a hope to improve veteran health care as a whole. Veterans have really embraced the app, according to Barrett, and find the initiative long overdue and much needed. The VA Review app includes a promise of 100 percent transparency, which Barrett takes very seriously. Along with transparency, Barrett has taken steps to ensure that reviews are legitimate. The Web app uses strong back-end security measures to ensure that the review system is not being manipulated. Additionally, each review is reviewed before being published on VA Review. Barrett started this project with the goal of helping to improve the VA and he believes the first step to solving a problem is to clearly identify what the problem is. In terms of what the problems are, Barrett points to the reviews for the answers. While Barrett hasn’t been contacted by the VA, he does think his website offers some lessons the agency should pay attention to.